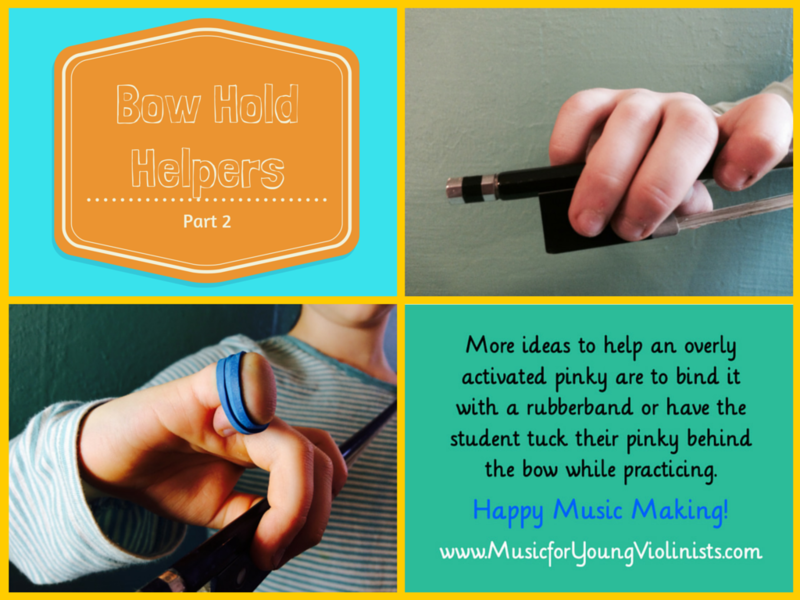 Violin Hacks & Bow Hold Helpers - Violin Sheet Music, Free PDFs, Video Tutorials & Expert Practice Tips! 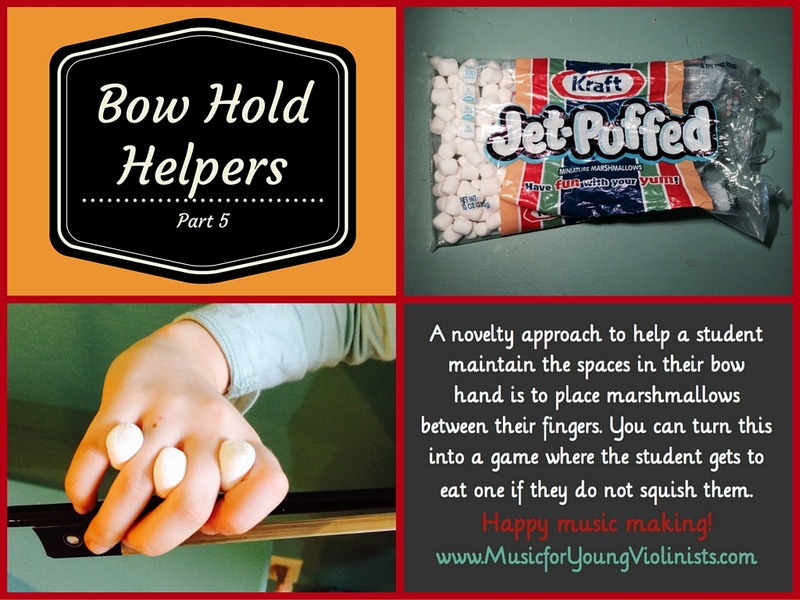 Learn how to play the violin with these creative ideas! 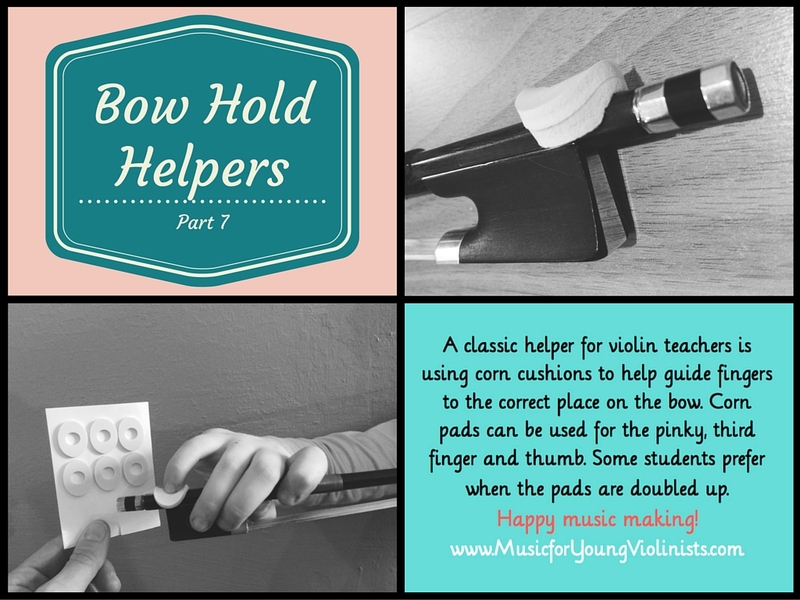 The violin hacks and bow hold helpers will help make practice fun while advancing your violin playing technique. 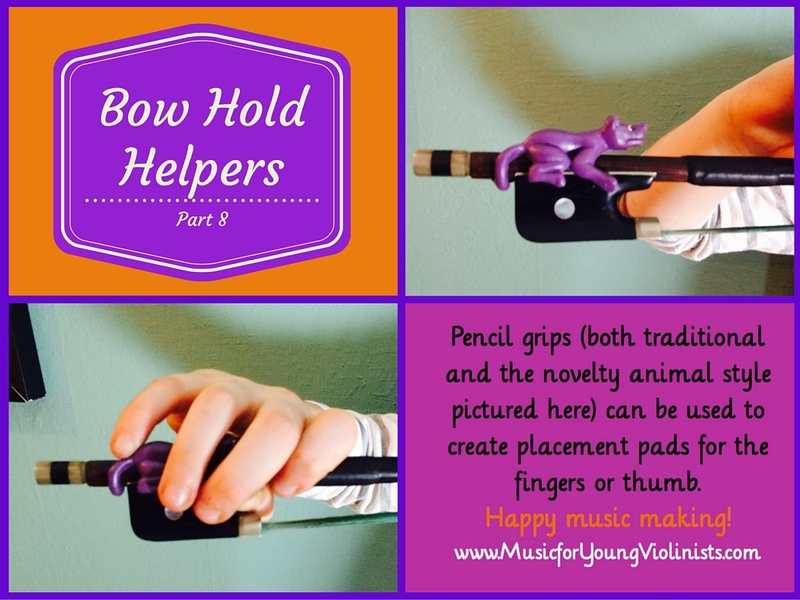 Some of you might be wondering what a "hack" is and what it has to do with violin playing. The word "hack" has taken on a clever meaning in modern times and is now used to describe "any trick, shortcut, skill, or novelty method that increases productivity and efficiency, in all walks of life." Wikipedia. 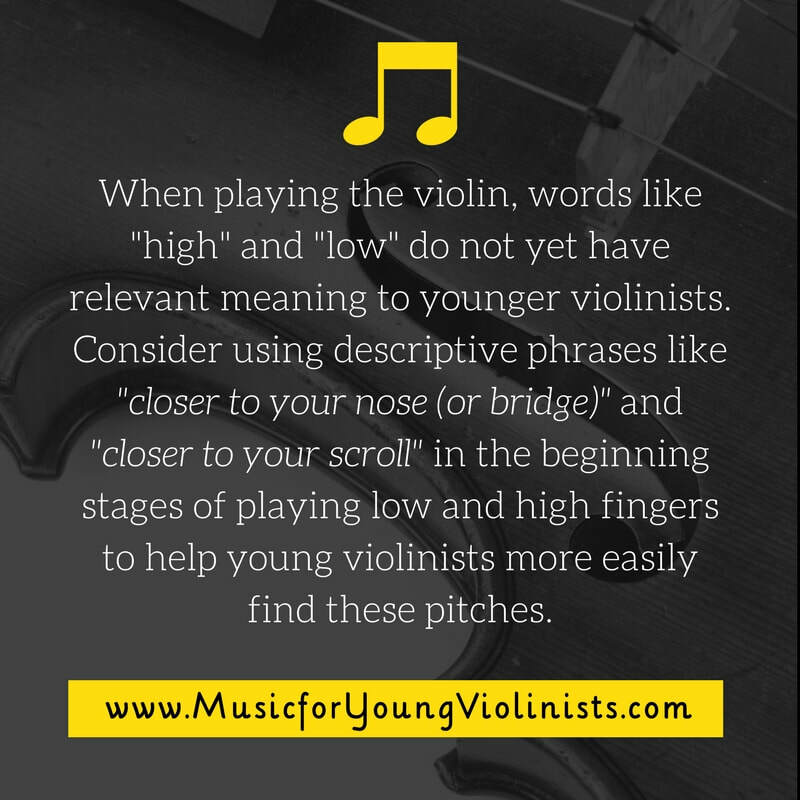 This page is a playful take on this concept for musicians and offers solutions or "hacks" for learning to play and teach the violin. 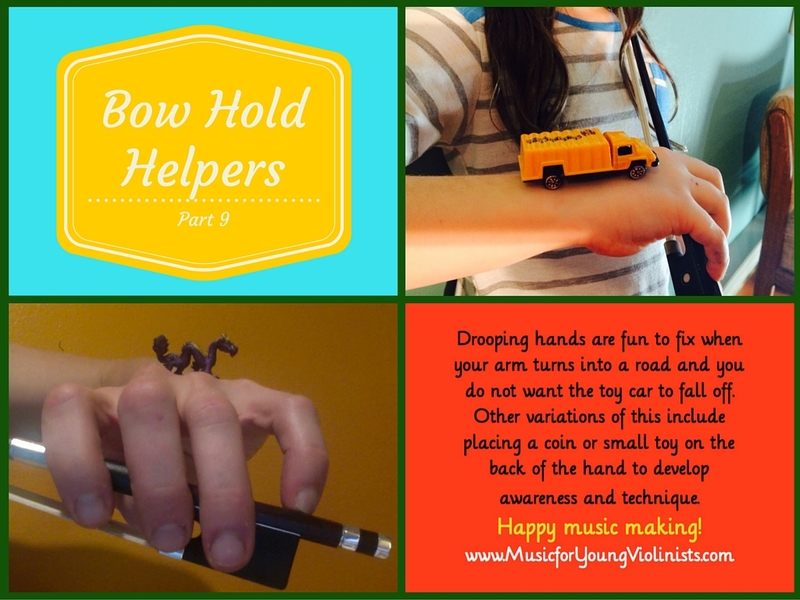 I am posting the ultimate hack at the top of this page - the Things 4 Strings® Bow Hold Buddies® accessory set. 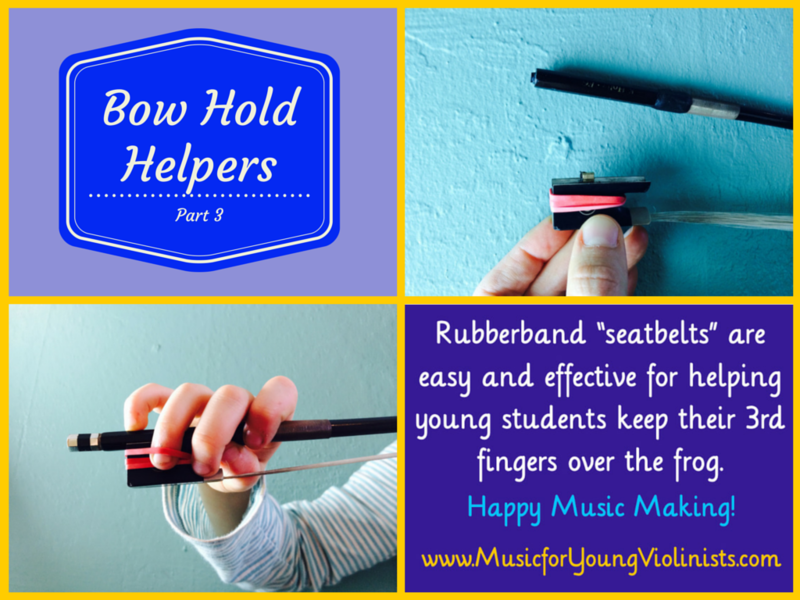 While the other solutions posted below are helpful for isolated bow hold issues, the Bow Hold Buddies® solution is the only "hack" to fully address the entire hand of the violin player. 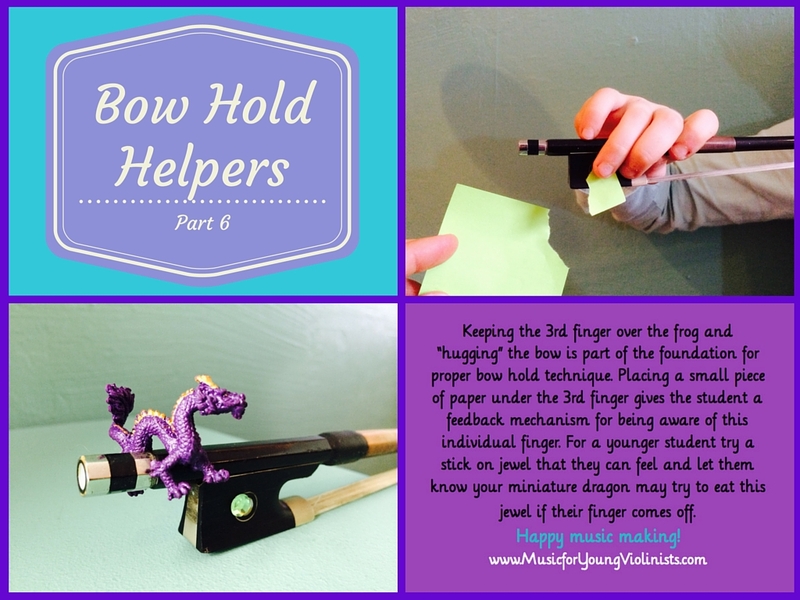 Think of this ingenious device as having the value of 12-16 private lessons from a master teacher (the average time it would take to develop a bow hold independent of this product). I highly recommend this product, and when my students use these, it saves us from having to do remedial work (which saves us money and frustration) and frees us to move more deeply into our repertoire. 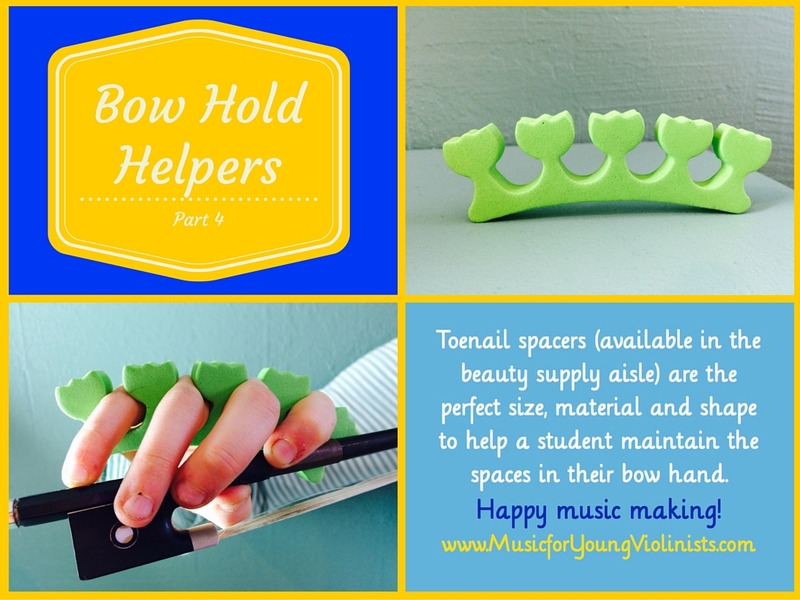 Learn more about the creator of the Things 4 Strings® Bow Hold Buddies® here.